Size 1200 x 600 x 220 mm. No. 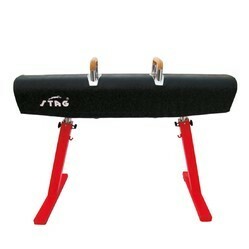 G102 - STAG SPRING BOARD STAG spring board is made of laminated plywood very strong steel frame with 5 x heavy duty coil springs upholstered with high quality carpet. Size - 1200 x 600 x 220 mm. 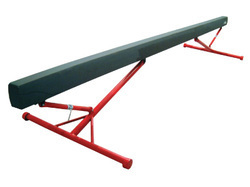 Dimension(millimetre) 1.30 and 1.70 m.
We offer high-quality Gymnastics Vaulting Table Stag G408 that are safe and have hydraulic height adjustment. 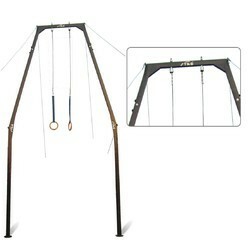 Latest spring safety aystem adjustable height 95cm to 135 cm regulation size. 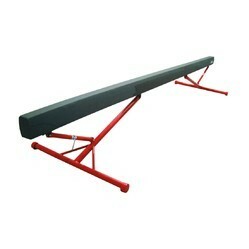 Our organization is a recognized firms engaged offering Gymnastics Vaulting Horse Club G408C. 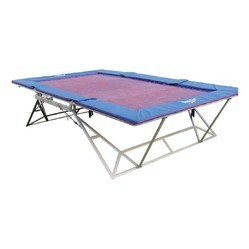 We hold expertise in offering the wide gamut of Gymnastics Springboard Special G102C in the industry. 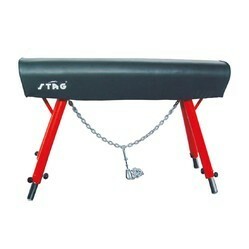 Made of superior wood with heavy steel under carriage fited with wheels for easy transportation available in size. 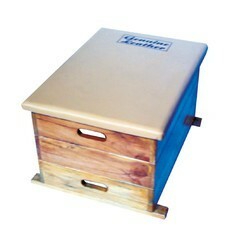 Made of superior wood all size available with alluminium legs. 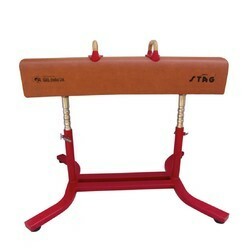 We are offering a wide range of Gymnastics Mushroom Horse Small Training G417A to our clients. 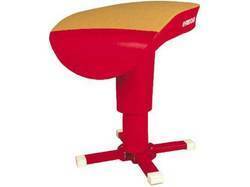 Our organization is a recognized firm engaged in offering Gymnastics Pommel Horse Competition New Elite G409CN. Vaulting Hore Covered with Systemetic Leather. Adjustable Height 110 to 150c.m. 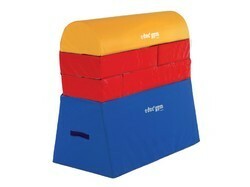 Vaulting horse. 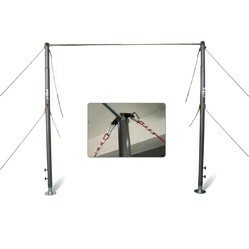 Double steel tubular legs equipped with automatic height regulator for adjusting to required heights. 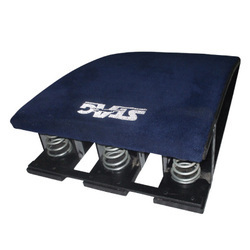 Adjustable to unlevelled floor. Chromed internal sliding element; rubber base pads. Tightening chain and anchor wedge for fixing to the floor. Padded wooden trunk covered with natural leather. 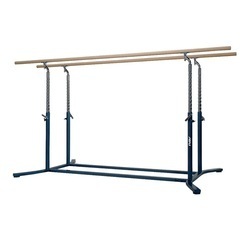 We are a renowned firm in the industry, offering the best quality array of Gymnastics Vaulting Box 1.10 Mtr Beech Wood G402. No. 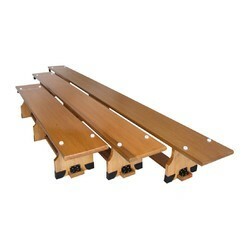 G102 - stag spring board stag spring board is made of laminated plywood very strong steel frame with 5 x heavy duty coil springs upholstered with high quality carpet. Size - 1200 x 600 x 220 mm. No. 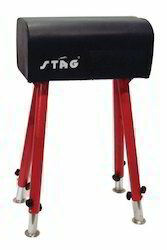 G412 - stag vaulting buck horse made of high quality materials & upholstered with synthetic leather. 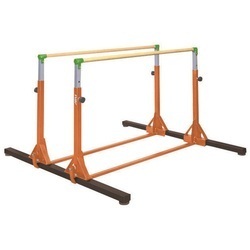 Adjustable height 110 to 150cm base pipe: 75mm round x 3mm thick.